Reputation is often the hardest thing to repair, they say. If that is true, then the “ad network” will take some time to recover from the negative perceptions around its core business model from publishers and advertisers. Granted, a couple of ad networks really abused the post-view metric with some jaw-dropping cookie-bombing strategies. The dark arts of media “optimisation” yielded huge profits for a number of a middle-men ad networks, but these same players are now struggling to remain relevant in an automated buying space that is increasingly dominated by the trading desks. Even with all this negativity, the ad network continues to flourish – and if anything we’ll see a renaissance of the model in the coming twelve months. How did we get here? When these cookie-matching, algorithm-driven bidders/ad server tools arrived on the scene three years ago, the death of the ad network was foretold by many. Agencies finally had a way of aggregating supply and optimising in the way the ad nets had done for years; and when RTB functionality was built into these “DSP”, agencies could even buy on an impression-level. The perfect media buying storm had hit the industry. Agencies scrambled to build new business models around the new opportunity, and so the Agency Trading Desk was born. Middle-men ad networks ignored it at first but the slow flow of DR budgets to agency trading started to eat into their bottom line – and now things look pretty gloomy for many of these former behemoths. Of course this wouldn’t have been possible without the advent of the exchanges, but what the DSPs did was democratise media buying. It now meant scale was possible through an AppNexus, MediaMath or Invite Media. No need for a publisher acquisition team – just plug into supply sources – and scale was possible. Everyone could now be an ad network. And everyone recongnised that fact – especially the agencies. What Is An Agency Trading Desk Anyway? The Trade Press has been very hostile towards the concept of the ATD. 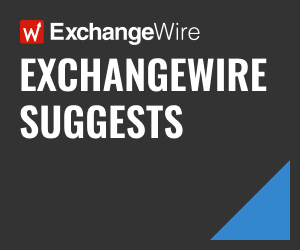 ExchangeWire, for the record, actually thinks the Agency Trading Desk model is a smart strategy for the agency, and why shouldn’t an agency run a competitive line item with the rest of the 3rd party vendors? If they can convince their client that they can deliver with increased transparency and efficiency, then they are entitled to. They have the client relationship after all. Is the ATD an ad network? Some are being run like consultancy arms, others like pure play networks. Whether it’s a blind margin, transparent margin or a “consultancy fee”, the ATD model is open to interpretation. Does it really matter? Maybe. After all, the ad net model is having some reputational issues, and in this business perception and positioning are paramount. On the other hand most clients couldn’t care less as long as their agency is delivering and meeting the agreed KPIs. So despite the initial rumblings, the agency ad net is finding its feet and getting comfortably ensconced in the agency media plan. But for how long? For an ATD to survive, there has to be some form of revenue line supporting the operations of these trading desks. What happens when they start feeling the pinch and no longer represent a profit centre? Will the model be absorbed into the operating companies and out of the holding group? Is this the moment traditional ad networks can strike back? Retargeting solutions wouldn’t like to call themselves ad networks, but in reality they are, and they shouldn’t be afraid to position themselves like this – but again, the negative connotations associated with networks means they are forced to create new positions in the market which often make them even more competitive to agencies. These Retargeting networks access dynamic inventory (and are now buying impressions directly from publishers on a first-look basis) as well as marking up CPM inventory on a CPC arb is not a new innovative model – just a smart iteration and execution of the old ad net solution. Automated buying has fueled the growth of retargeting offerings, which is effectively powering the growth in display. Granted, there is a lot of smart dynamic optimisation tech layered on top of that, but it is still fundamentally a smart ad network play – and there is nothing wrong with this. Google makes $12 billion from its ad net business every year – a number that many digital media businesses would kill for, including Facebook. The growth of automated buying and RTB is also going to give us a whole new generation of publsiher ad networks. The Publisher Trading Desk is about to become a big player in this space. The idea of audience extension is not new, but building it out as a revenue model is. Publishers now have the same scale and access to dynamic inventory as the rest of the market. The difference being that the pubs have proprietery data and inventory to leverage – particularly vertical publishers. Those vertical publishers with defined audiences are in a position to win more budget from agencies. 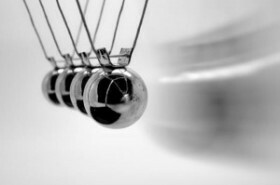 Most will not have the nous or the resource to pull it off – so it will be outsourced. White labelled PTDs will no doubt be a big trend in the market, but I would expect that most SSPs are offering this kind of solution already, particularly around audience extension. Is Nolet Right About The Eco-System Map? Of Course He Is. It was interesting watching AppNexus’ CTO, Mike Nolet (keynoting at ATS London) tearing apart the LumaScape at a recent event in Amsterdam. His premise was simple: the LumaScape has over complicated a simple ad market. Instead of twenty or thirty boxes, there should be only two: one for buyers and sellers; and one for platforms. Technology is a tough business, especially in online advertising. The margins can be tight, and you need a lot of scale to make it work. And realistically there are five-to-six (maybe less) agnostic and scaleable platform plays globally. That is a fact. The reason why a lot of companies run ad networks with some kind of tech layer is that it’s easier to access agency media spend than it is to win the ad server business at a holding group. There are businesses who say they are pure tech, but run a managed service piece to help clients. It’s a fine line, but taking spend and managing the optimisation at scale sounds awfully like an outsourced buying process. You know who used to do that? The ad network of course. Scale and revenue are key factors as to why companies employ this kind of “managed service” strategy. Quantcast stopped selling data because clients using 3rd party DSPs couldn’t scale it. Quantcast, using its data, with its own machine learning backed, native bidder, has certainly made it scale. Criteo, the finest ad tech company Europe has ever produced, do not outsource their dynamic creative product. One, because agencies do not have the engineering stack Criteo has assembled to make it perform, scale etc., but also because the margins tied to a dynamic creative solution are tiny compared to the margins inherently baked into a CPC ad network solution. We all accept that the ad network model has had an image problem of late. Dodgy metric-gaming practices coupled with opulent behaviour not seen since the last days of Rome, cannot take away from one of the greatest online models ever created. Maybe the ad network will never regain its good name, but we all accept that most of the TLA models exisiting today, like DSPs, SSPs, ATDs, PTDs, as well as the retargeting/data targeting solutions all owe some kind of lineage to the original ad network model.